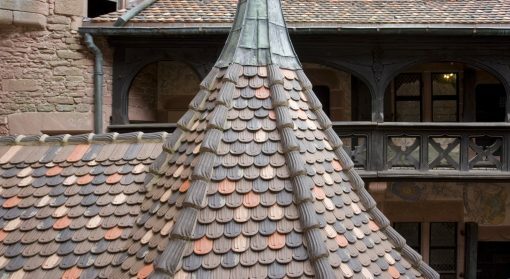 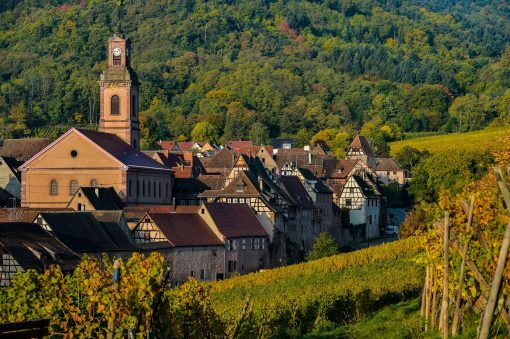 Driving 34 miles southwest of Strasbourg you arrive at the most popular attention along the Alsace wine route, Haut-Koenigsbourg Castle. 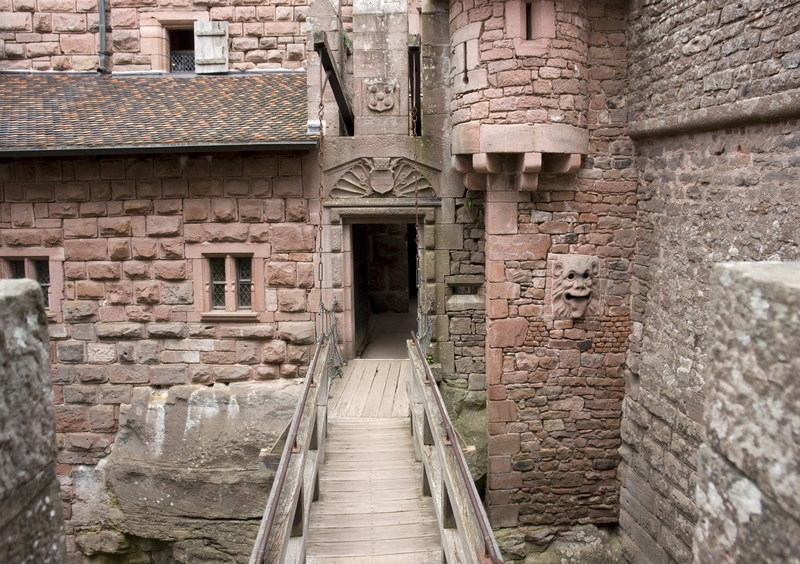 You are first struck by the imposing sandstone towers and then a fairy-tale fortress emerges. Most of the castle today dates from the 19th century but the original structure was built in the 12th century for the German Hohenzollern family. 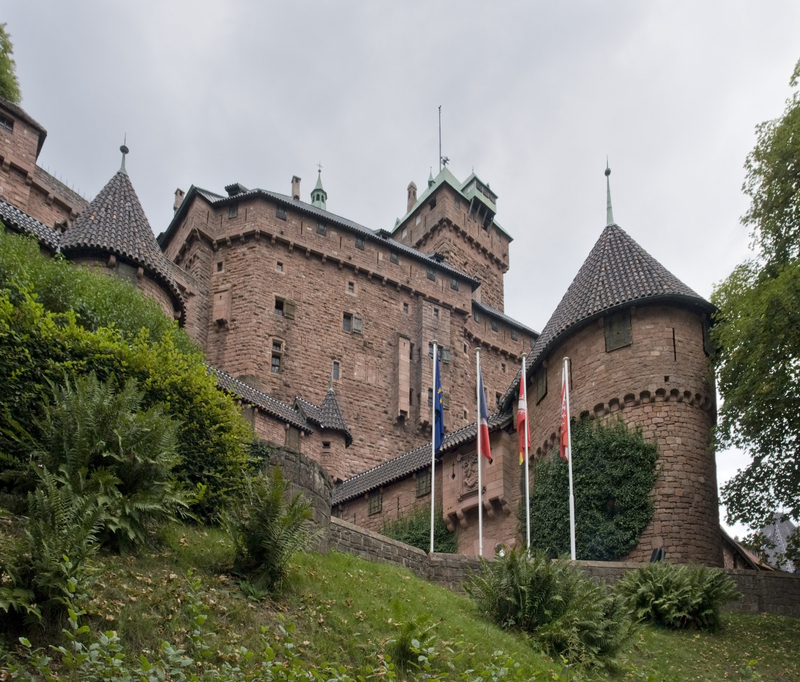 Perched on a hilltop he view from the Castle is also a highlight of a visit there. 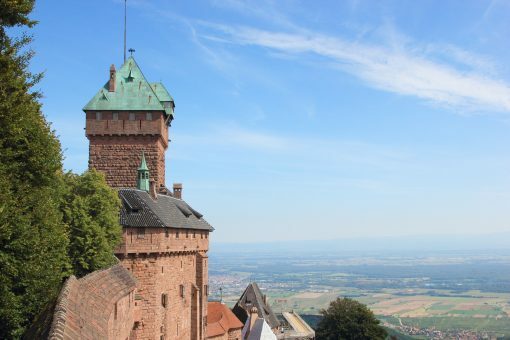 The view on a clear day is awesome from the surrounding Vosges Mountains, the German Black Forest and the Swiss Alps. A tour of the Castle will reveal the windmill, wine cellars, living quarters and medieval gardens.